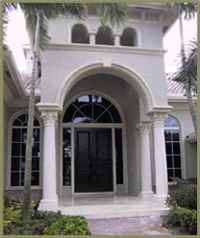 Located in Pompano Beach, Florida American Cast Stone has established itself as one of the leading manufactures of architectural cast stone in the Southeast United States. Our highly trained craftsmen are taught to pay particular attention to every detail to assure consistent high quality. on the repeat business we receive from our customers which is largely a result of quality and pricing.